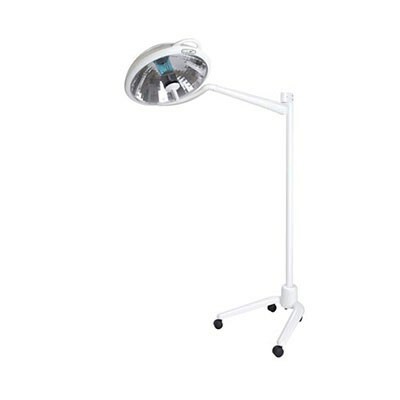 Bovie System II Portable Surgery Lights produces up to 102,000 lux (9,500 foot candles) at 1 meter using a halogen bulb. 4,000° Kelvin color temperature allowing for excellent tissue rendition. The MH Series produces over 100,000 lux (9,500 foot candles) at 1 meter using a low-watt high intensity discharge bulb. 4,300° true Kelvin color temperature.